Color chess pieces are always interesting and beautiful. So different with ordinary chess and make us excited to play chess game. 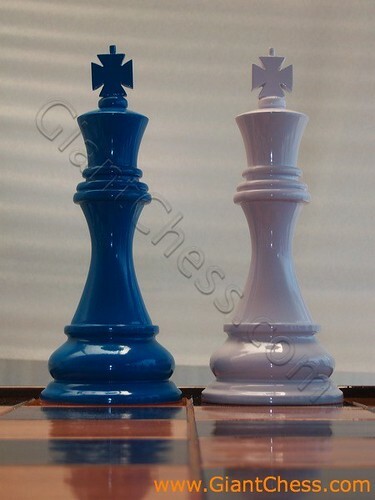 Not only black and brown chess pieces, but now on, you can play with the blue and soft violet chess pieces. A beautiful unique pieces and eye catching. Children love this kind of chess pieces. It made from Teak wood and painted in fun colors, so that children can enjoy their game without worry about the damage. Beside for chess game, those also suitable for gift and house decoration. This color chess pieces would make an impressive gift or to keep. Perfect to decorate your indoor and outdoor space in your house. Carved by our expert craftsman and polished beautiful in blue and soft violet with glossy touch. Very durable for outdoor use.